The last sessions of our classes have come and gone and I find myself in a mixed state of relief and stress. The skies of Budapest have graced us with yet another raging storm and I’m cuddled up in the office so that I can listen to the rolling thunder and rain trickling against the window. 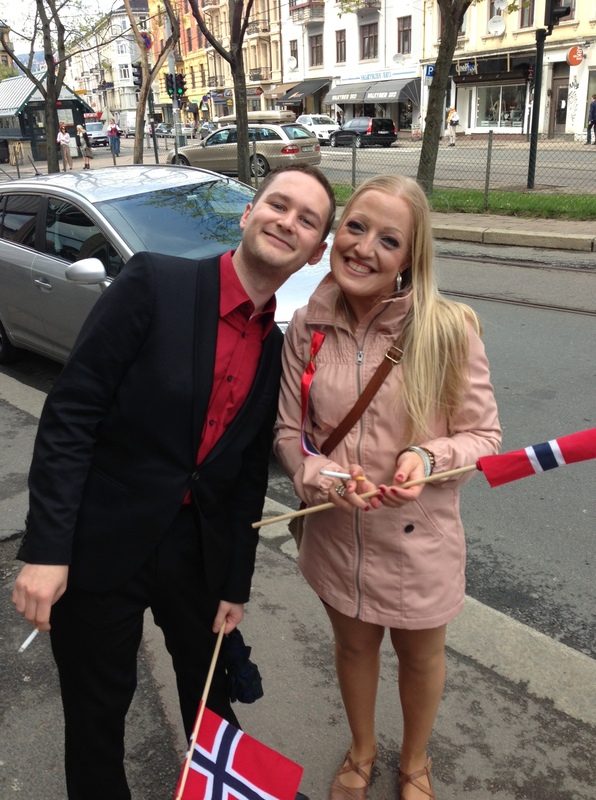 It’s the 17th of May, Norway’s Independence day (gratulerer med dagen!) 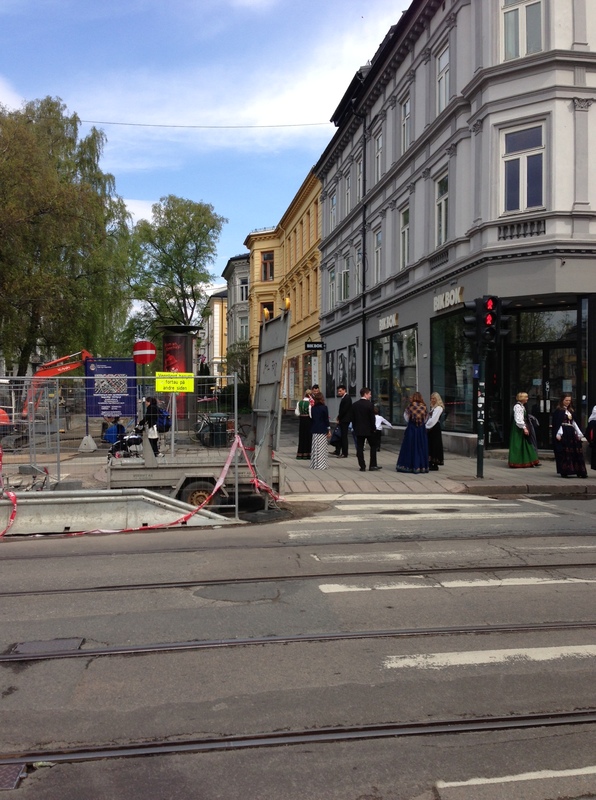 and Skjalg is out celebrating with other Norwegian students at ANSA’s 17th of May celebration on Margit Island (though I don’t know how nice that is now that it’s pouring outside). 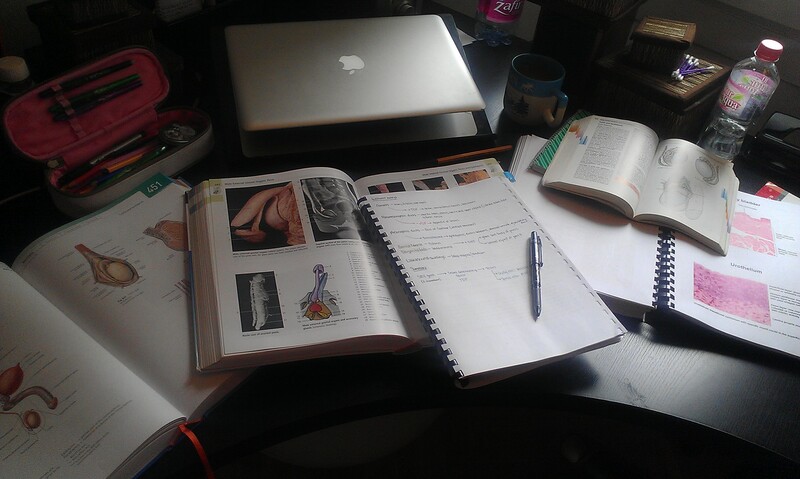 Me and my boringness stayed home to study some anatomy. Our old street in Majorstuen, right off of Bogstadveien. To close out anatomy today, we had our midterm on the urogenital system. I was 100% sure it wasn’t going to go well for me, but I emerged with a 3 (somehow..). The exams varied greatly between classes: Skjalg had 10 multiple choice questions, another group had images they had to label, and for ours, we had 10 theoretical questions and a pin-test. I only managed half of the theoretical questions, but got 9 out of 10 on the pin-test (stupid round ligament). I hadn’t expected that there would be such a big theoretical part, so I had spent most of my time studying images in my anatomy atlas. Now I get to spend time making up for my falling behind in anatomy! I want to finish with the urogenital by at least midday tomorrow so that I can begin reviewing for my exam. It’s on the 28th, so I have a little over a week, but I know that time is going to fly by before I know it. Ok, I’m off to bed with my embryology book! Ah-ha! That explains why I saw so many Norwegian flags waving today. Now I can put faces to some of your friends in Norway! What a spread that was last year! … What a contrast to the current spread of Anatomy books. Happy studying! We had such a fun day last year! 🙂 Wasn’t the same without you guys here today! Aha! That explains.. I didn’t see the pictures when I read your email. Thought it was a weird way to finish it without telling me your big plans 😛 That second picture (the one you didn’t post here)… That… That just hurts..! Oh no! The pictures were part of the joke. Glad you saw them now. Thanks for letting me steal your photos without permission 😛 Haha, I picked that second one out just for you. Would you believe me if I said it wasn’t even the worst one? It was a really great apartment! We got lucky with that one 🙂 Glad you got to see it. I got your email! Wrote you back a draft but then forgot to send it. Will send it today! You are currently reading A bittersweet end at Buda-B.